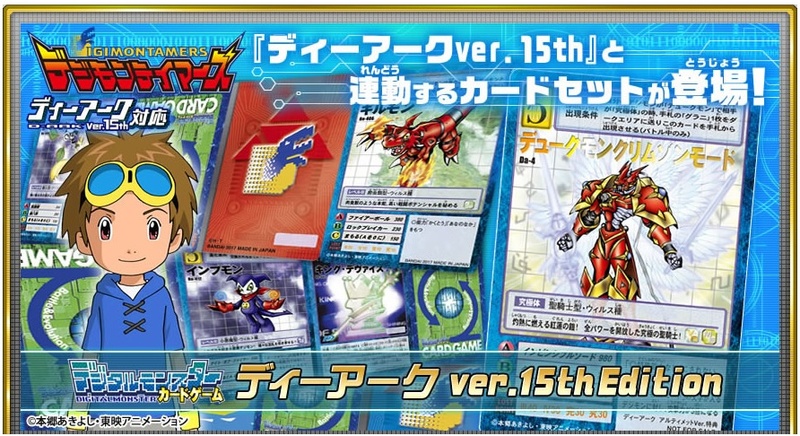 To commemorate the 15th anniversary of the animation 「Digimon Tamers 」, an exclusive card product will be made! 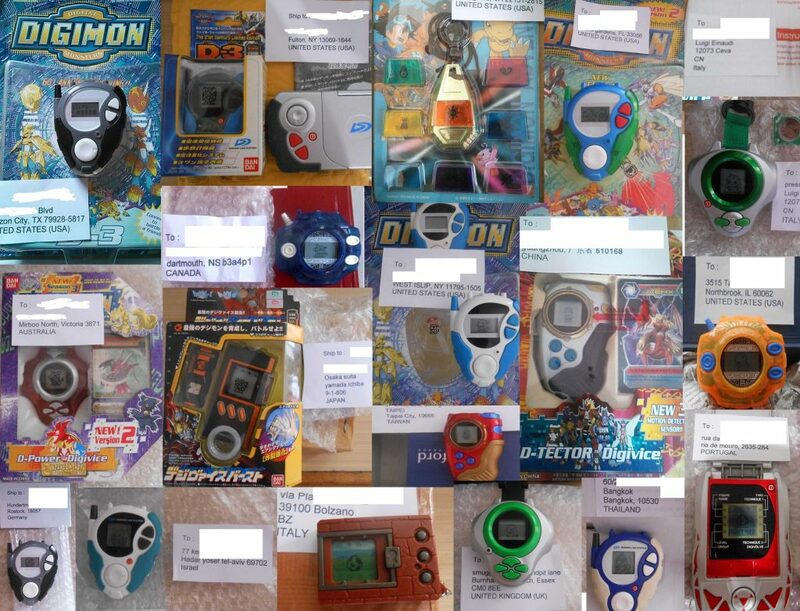 There are a total of 65 「Digimon Tamers」 cards. The rare cards are referenced from previous products and reproduced as foil cards. 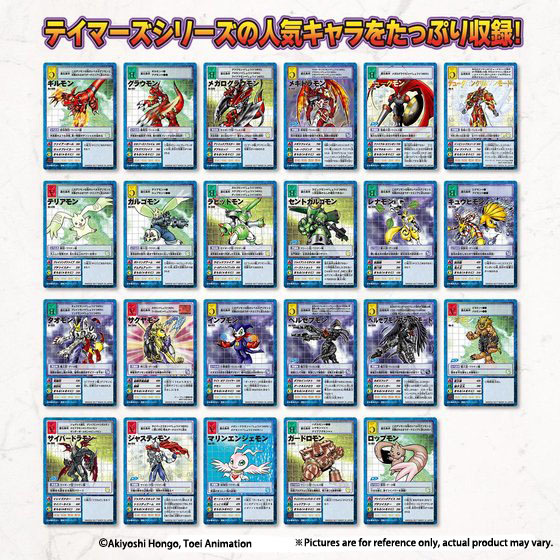 In addition, 2 brand new illustrations of 「Dukemon Crimson Mode」 and 「Beelzemon Blast Mode」, plus 3D 「Blue Card」 and 「Red Card」 where the card images will change when viewed from different angles, will be included. 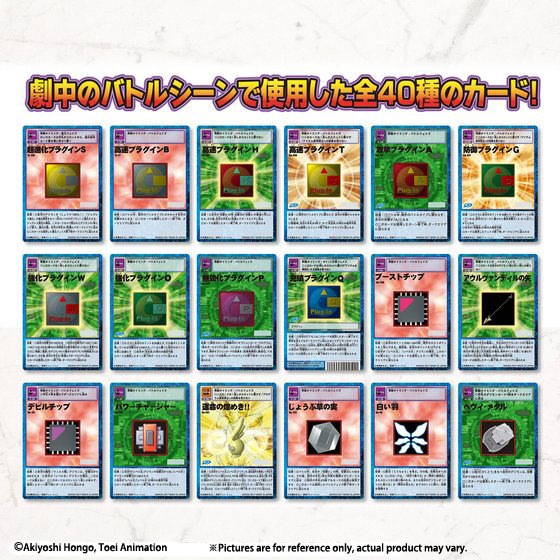 These cards are compatible with the same-time release of the 「D-ARK ver.15th」 Digivice! 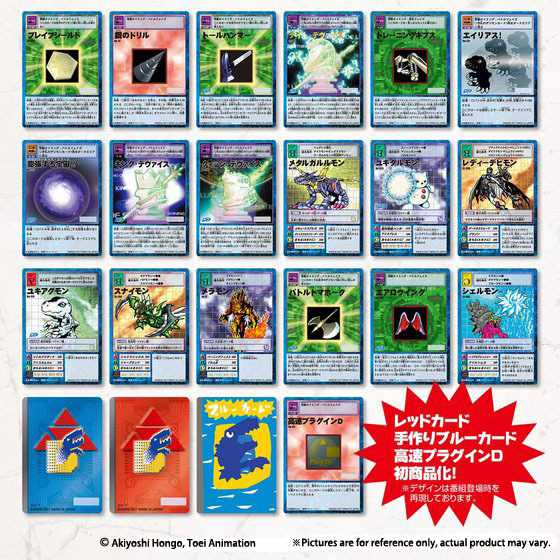 Also included is a 「Digimon Tamer King Special Booklet」 which contains information about 「Digimon Tamer King」. Revisit the nostalgic past with it! 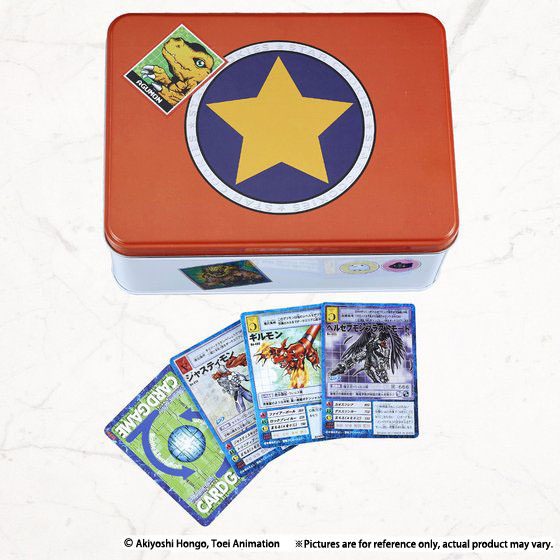 This special product also includes a 「Takato’s Storage Tin」, which appeared in the animation.